20/09/13 -- Soycomplex: Beans and meal closed sharply lower, with beans posting their first weekly loss in seven in what looks like a combination of harvest pressure and profit-taking. There's still the possibility that this week's Midwest rains may help yields a little too, along with the outlook for South American farmers to "go large" with their soybean plantings as soon as the weather permits. Indeed, it's not just in South America that soybean plantings are expected to increase for the 2014 harvest, Informa today released a preliminary report for US 2014 soybean plantings suggesting a record large area of 83.6 million acres and record production potential of 3.671 billion bushels. Big prices equal big plantings it would seem. Informa also raised their forecasts for US 2013 yields and production to 42.4 bu/acre and 3.224 billion bushels respectively. The USDA are currently 1.2 bu/acre and 75 billion bushels lower than those estimates based on conditions as at the first of the month. Anecdotal reports of early US soybean yields are generally better than expected. After this week's US rains have abated the forecast for the next 7 days is drier, which will allow harvest pace to pick up, and more importantly has no significant cold weather threats. Dryness in Argentina could see more of a shift from corn into beans than the market currently has factored in, which is also a bit bearish for now. Continued dryness beyond the middle of October could see the market begin to get a little excited though. The Argentine Ag Ministry released a 2013/14 soybean planting area estimated of 20.6 million hectares, up 3% from last year. Corn and sunflower plantings are seen in decline, with the latter now pegged at 1.7 million ha versus a previous estimate of 1.9 million and compared to 1.8 million a year ago. Brazilian farmers are also waiting for rain before they begin planting what is expected to be around 4-6% more soybeans than in 2012. If the weather co-operates then a record crop lies in store for 2014. Fund selling was estimated at around a net 8-9,000 lots on the day. Nov 13 Soybeans closed at USD13.15 1/4, down 24 1/4 cents; Jan 14 Soybeans closed at USD13.18, down 23 1/2 cents; Oct 13 Soybean Meal closed at USD413.40, down USD8.20; Oct 13 Soybean Oil closed at 42.09, down 62 points. For the week Nov 13 beans lost 66 1/4 cents, with meal down USD31.20 and oil down 25 points. Corn: Corn closed lower on harvest pressure and fund selling. Informa raised their forecast for the 2013 US corn crop by 149 million bushels to 13.889 billion bushels, with yields at 157.6 bu/acre. The USDA are currently at 13.843 billion bushels and 155.3 bu/acre. Better than expected yields are being reported as the 2013 US corn harvest progresses. 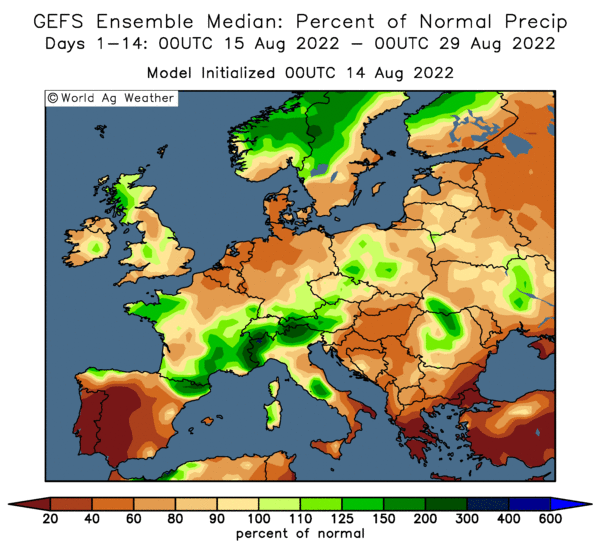 Some significant progress should be made with the harvest next week if the advertised dryness forecast is validated, potentially bringing additional harvest pressure. Looking further ahead, Informa gave us a preliminary forecast of 92.7 million acres for US corn plantings next year, which is down more than 3 million acres on their estimated for this year as USD4.50/bu corn turns heads to soybeans. The latest Commitment of Traders report shows fund money adding significantly to their short position in corn for the week through to Tuesday night - up by almost 40,000 lots to over 100,000 contracts. The Buenos Aires Grain Exchange said that the 2013/14 Argentine corn crop is 2.8% planted versus 5% this time last year. They estimated the 2013/14 Argentine corn area at 3.56 million hectares. The Russian and Ukraine corn harvests are stalled on rain, both are currently only around 10% complete. Quality could also be an issue once the crop is in too. FranceAgriMer cut French corn ratings in the good/very good category by one point to 55%. Funds were estimated to have been net sellers of around 7,000 corn contracts on the day. Dec 13 Corn closed at USD4.51, down 8 1/2 cents; Mar 14 Corn closed at USD4.63 3/4, down 8 1/4 cents. Dec 13 was down 8 cents on the week, it will be interesting to see if the USD4.50 level can hold next week. Wheat: Wheat followed corn lower, effectively giving up all of yesterday's gains. Heavy rains on the Plains are seen as beneficial for winter wheat plantings. Western Argentina is seen dry for the next 5-7 days. The FAO cut their forecast for the 2013/14 Argentine wheat crop from 11 MMT to 9.5 MMT, although that's still up on last year's 8.2 MMT. The Argentine Ag Ministry have cut their wheat area estimate from 3.9 million ha to 3.4 million ha on dryness during planting. In May the Argentine Ag Secretary said "the area will be close to 4.5 million hectares, for sure" so he was only 25% out. Russia's wheat harvest stands at 45.2 MMT off 71.2% of the planned area, which is already well ahead of last year's entire production. Quality could be a problem this year though. European wheat exports are running well ahead of schedule, pinching business from the US. Nevertheless, cumulative US wheat export sales stand at 57.0% of the USDA forecast for 2013/14 marketing year versus a 5 year average of 46.8%. Talk of problems in South America potentially might mean that Brazil keeps importing more wheat from outside the Mercosur trade block. The Canadian harvest is progressing well, and they are on track for their largest crop since the early 1990's. Quality is said to be above average too. The latest Commitment of traders report shows fund money extending their Chicago wheat short position by almost 4,000 lots to nearly 51,000 contracts. Dec 13 CBOT Wheat closed at USD6.46 1/4, down 10 3/4 cents; Dec 13 KCBT Wheat closed at USD6.96 3/4, down 9 1/4 cents; Dec 13 MGEX Wheat closed at USD6.99 3/4, down 8 3/4 cents. For the week Chicago wheat was still up 4 3/4 cents, with Kansas rising 3/4 of a cent and Minneapolis down 6 cents on pressure from the Canadian harvest. 20/09/13 -- EU grains closed mixed but mostly lower with Nov 13 London wheat settling GBP0.15/tonne lower at EUR151.70/tonne and Jan 14 GBP0.65/tonne easier at GBP154.00/tonne. Nov 13 Paris milling wheat was unchanged at EUR185.75/tonne whilst Nov 13 Paris rapeseed slumped EUR5.75/tonne to EUR363.00/tonne. For the week Nov 13 London wheat was down GBP0.80/tonne, with Paris wheat down EUR0.50/tonne and rapeseed EUR13.00/tonne lower. Fresh news was relatively scarce, but falling US markets, led by soybeans, set the tone. Defra made a few minor tweaks to their English provisional planted area figures, coming up with a final wheat area of just over 1.5 million hectares, a 19% drop on last year and the smallest area since the early 1980's. Barley plantings were up 33% overall, courtesy of a near doubling in the spring barley area to 571,000 ha. The area given over to oats was up 50% to 138,000 ha, with linseed, beans and peas all up by around a quarter. 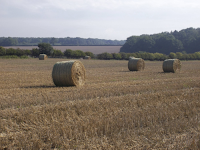 The total OSR area was down 5% to 676,000 ha. The strong pace of EU soft wheat exports continues to underpin the MATIF market in particular. The total volume of export licences granted so far this year now stands at 5.73 MMT, nearly double the 2.9 MMT that had been issued this time last year. France (1.6 MMT), Germany (1.58 MMT) and Romania (990 TMT) are the biggest exporters. The largest recipients this week were the Netherlands, with 142 TMT, and Lithuania with 128 TMT, ahead of France with 87 TMT. In contrast the UK didn't request any export licences again this week, and has only been granted 3,600 MT worth so far this season. Wheat import licences into the UK currently stand at 86,587 MT, and those for corn are at 47,247 MT. Interest in EU wheat remains buoyant amidst ongoing concerns over quality with the stalled Russian and Kazakh harvests. There's talk that Egypt will soon start to turn it's attention to French wheat once Romania sells out and Ukraine begin to focus on exporting their record corn crop. In Russia, Siberia and the Volga and Central regions have been plagued by almost constant rain this past week. Their grain harvest is only 70% complete versus 53.5% at the beginning of the month, almost three weeks ago. The wheat harvest has only advanced from 55% done to 71% complete, with barley up from 63% to less than 78%, during this time. Wheat yields are still holding up despite the weather though, at 2.53 MT/ha versus 1.86 MT/ha this time last year, but quality will surely be taking a hit. The Kazakh grain harvest meanwhile is also making slow progress under similar conditions. Much of the west of the country has received at least double its normal precipitation in the past fortnight, with some parts getting 3-4 time their usual September rains. The Kazakh harvest currently stands at 11.87 MMT off 62% of the combinable crop area, although as with Russia yields are significantly better than a year ago at 1.21 MT/ha versus just 0.86 MT/ha in 2012. Hungary's crop is in the bin however, and in common with most of Eastern Europe things are much better than last year. They've harvested a wheat crop of 5.14 MMT, up 28% on 2012, with barley production of 1.1 MMT representing a 10% rise versus last season. 19/09/13 -- US Crop Weather: "Midwest rainfall is expected to be heavy over the next few days due to an influx of tropical moisture from Mexico in an already unstable humid atmosphere. The morning satellite imagery reveals the source of heavy rainfall as Hurricane Manuel in western Mexico. This is a Pacific hurricane that hit the west Mexican coast last night. A bolus of tropical moisture has already been swept up by the jet stream and carried into western Texas. At the same time, a trough of low pressure in the central United States is creating instability and scattered showers. Thunderstorms are developing in Colorado, Nebraska, South Dakota, Wisconsin, Michigan, Indiana and Ohio on the morning radar. The atmosphere is ripe for rainfall, heavily laden with moisture. A heavy soaking rain is predicted over much of the drought-stressed Midwest the next 2-3 days from a slow-moving trough of low pressure. Also expecting very generous rain are Texas, Kansas and the Mid South. Hurricane Manuel's influence is a big factor infusing heavy moisture into the atmosphere which is then carried by the jet stream into the United States," said Martell Crop Projections. Soycomplex: Beans were lower on ideas that these late rains, which would have been ideal had they fallen in August, will still do some good for maybe a quarter of the developmentally retarded US soybean crop. Fund money was said to be squaring up positions, selling bean longs and buying in corn and wheat shorts, putting further pressure on beans. Weekly soybean export sales were above trade expectations of 450-800 TMT at 923,300 MT though, with unknown destinations (530,500 MT) and China (129,000 MT) the main buyers. Actual shipments have slowed to a trickle at just 74,200 MT, pending the arrival of new crop beans. This week's sales take net soybean commitments for 2013/14 to around 60% of the USDA target for the season already - well ahead of normal. We already know that next week's sales will be above 2 MMT due to yesterday's confirmed sales to China and unknown, taking 2013/14 commitments even higher. Separately the USDA also announced the sale of 120 TMT of new crop US beans to unknown under the daily reporting system. MDA CropCast raised their forecast for US soybean production this year by 5 million bushels from last week to 2.972 million, even so that's still one of the lowest forecasts in the ring. Dryness in Brazil and Argentina wants watching, although it's not a major problem at the moment. You could in fact currently make out a case for it only leading to a larger potential switch into soybeans from corn (and also sunflower in Argentina) than the market currently has factored in. It could also be a problem for soybeans though if it lasts into mid-October. China did not hold a weekly soybean auction this week due to holiday. Funds were estimated as being net sellers of around 4,000 soybean contracts on the day. Nov 13 Soybeans closed at USD13.39 1/2, down 8 1/4 cents; Jan 14 Soybeans closed at USD13.41 1/2, down 8 3/4 cents; Oct 13 Soybean Meal closed at USD421.60, down USD5.40; Oct 13 Soybean Oil closed at 42.71, up 24 points. Corn: The corn market finished modestly higher on profit-taking and unwinding of spreads with beans. The Fed's surprise announcement that the era of cheap money isn't over just yet prompted short-covering. The subsequently sharply weaker dollar also helped push prices higher. Weekly export sales came in at 437,400 MT, in line with the expected 350-600 TMT. China was in there taking 64,500 MT. Shipments of 518,800 MT were primarily to Mexico (196,400 MT), Japan (104,300 MT), Venezuela (67,000 MT) and China (60,000 MT). MDA CropCast cut their 2013 US corn production forecast by 19 million bushels from last week, citing dryness earlier in the season. The forecast Midwest rains are too late to improve corn yields now, but at least there's no damaging frost in the forecast through October 5. If anything these rains will stall the harvest. Better than expected yields keep being reported from what has been cut so far though. Rain is also hampering harvest progress in Ukraine and Russia where less than 10% of the 2013 corn harvest is in. Heavy rain remains in the forecast there. Ag Canada estimated Canada’s 2013/14 corn crop at 13.193 MMT versus a previous estimate of 13.15 MMT and slightly up on last year. The Argentine Ag Ministry estimated their 2013/14 corn area at 5.7 million hectares, down 6.6% from 2012/13. Current dry conditions could possibly lead to a larger cut further down the line. Brazilian farmers are also seen cutting their corn acreage in a switch to beans. The record 2012/13 Brazilian corn crop - at 81 MMT production there has sky-rocketed by more than 40% from only two seasons previously - is weighing on domestic prices, which are below the cost of production in the interior. Funds were estimated as being net buyers of around 4-5,000 corn contracts on the day. Dec 13 Corn closed at USD4.59 1/2, up 3 1/4 cents; Mar 14 Corn closed at USD4.72, up 3 1/4 cents. Wheat: The wheat market jumped as funds decided to bank profits, cover shorts, and unwind some positions following the news from the Fed. One US economist said that the Fed had "created a self-licking ice cream cone" - which is a great way of putting it. 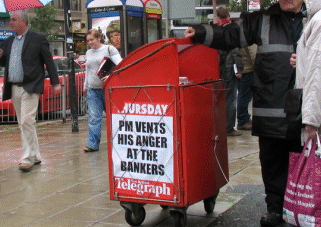 QE on this scale has never been done before, and neither has removing it. Weekly export sales were very respectable at 704,400, versus trade expectations of 400-800 TMT. For once Brazil were not the biggest buyer, that honour went to Nigeria (159,200 MT). Brazil were relegated to second place taking 120,400 MT, including 40,000 MT switched from unknown destinations. Actual shipments of 1,204,400 MT were a marketing-year high, up 32 percent from the previous week. The primary destinations were China (406,700 MT) and Brazil (186,400 MT). Whilst the trade is more than happy to take this "new" business it is also wondering how long this particular party is going to last. There are rumours in the market of Brazil buying wheat from Poland and Canada this week. China is also said to be actively shopping for Australian wheat. Production prospects Down Under appear to have improved dramatically in the past month or so and harvesting there is less than a month away. They're mid-harvest in Canada, and Ag Canada today estimated their all wheat crop at 30.7 MMT this year versus a previous estimate of 29.2 MMT and nearly 13% higher than the 2012/13 crop of 27.2 MMT. MDA CropCast increased their Canadian wheat forecast by 1.1 MMT to 31.2 MMT, an 18% hike on last year "due to improved yield expectations from favourable weather." Argentina's Ag Ministry sharply cut their estimate for the 2013/14 wheat area 3.4 million hectares from a previous estimate of 3.9 million due to dry conditions. The heavy rains forecast for the Southern Plains should improve conditions for winter wheat. Dec 13 CBOT Wheat closed at USD6.57, up 10 1/2 cents Dec 13 KCBT Wheat closed at USD7.02, up 9 ½ cents; Dec 13 MGEX Wheat closed at USD7.08 1/2, up 8 1/4 cents. 19/09/13 -- EU grains closed mostly a tad firmer, although still firmly stuck in range bound trade. Nov 13 London wheat settled GBP0.65/tonne firmer at EUR151.85/tonne and Jan 14 was up GBP0.50/tonne at GBP154.65/tonne. Nov 13 Paris milling wheat rose EUR0.75/tonne to EUR185.75/tonne whilst Nov 13 Paris rapeseed settled EUR0.25/tonne lower at EUR368.75tonne. The dollar was weak in early trade following last night's surprise announcement that the US Federal Reserve were not about to start weaning the patient off the methadone just yet. The pound rose above 1.6150 against the dollar this morning, but had given up a fair chunk of those gains by the time the grain markets were drawing to a close. 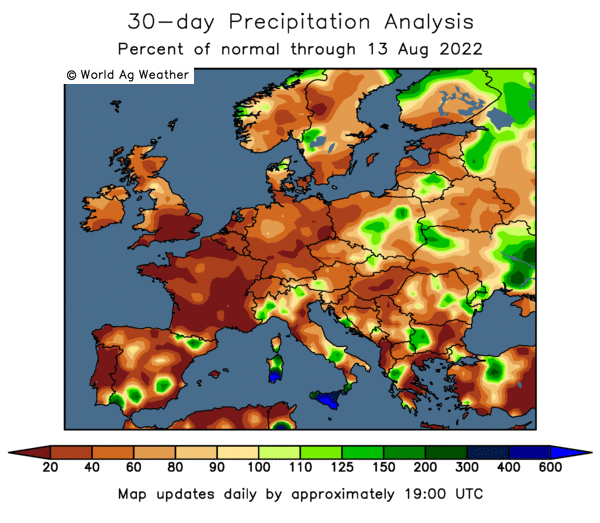 A wetter week this past 7 days means that the UK winter wheat harvest still hasn't quite been put to bed yet, with ADAS today reporting that 4% of the crop is still in the field, along with 10% of the national spring barley crop and 60% of spring OSR. Those that have harvested everything will probably be glad of a bit of rain before the advertised "Indian Summer" comes along next week. I don't think I'll get the sun cream out just yet though. They certainly aren't "singing in the rain" in the FSU though, where they'd rather like to get the corn crop in and crack on with some winter planting before the winter sets in. The Russian grain harvest is now 69.5% complete at 71.9 MMT. That's only advanced 5.4% in the past week. Wheat accounts for 45 MMT of the total off 70.6% of the planned area. They've only managed to harvest around 10% each of the corn and sunflower crop so far. They'd rather fancy a break from too much rainfall in Ukraine and Kazakhstan too, although there isn't much sign of one in the 15 day forecast. Could this be the first sign of a weather problem for production prospects for 2014? Canadian crops are getting bigger. MDA CropCast raised their Canadian wheat production forecast by 1.1 MMT from last week to 31.2 MMT on improved yield expectations. Ag Canada estimated their wheat crop at 30.7 MMT versus previous estimate of 29.2 MMT and compared to the 2012/13 crop of 27.2 MMT. Ag Canada said that they are seeing higher average yields due to extremely good growing conditions. They also raised their production forecasts for rapeseed, barley and corn. At 55% done, more than half of Saskatchewan’s crop is in the bin versus 44% normally at this time, according to the weekly provincial crop report. Australia's crop is also growing, in every sense. CBH, who typically handle around 90% of Western Australia's grain crop, raised their estimate for the volume that they are likely to process in 2013/14 from 9-10 MMT to 11.5-12.6 MMT as recent weather conditions have improved prospects considerably. Very good rains have also fallen this week in the eastern growing states of NSW and Victoria too. South Australia state Ag Dept have also recently raised their forecast for grain production this year. There's unconfirmed talk that Brazil has bought Polish wheat this week, along with a Canadian cargo or two. The provisional results of this year's HGCA cereal quality survey say what we already probably knew, that "this year, the domestic crop quality should be enough to meet all but the highest specifications; although import levels will be subject to the speed at which sourcing strategies can be changed." It should be noted that these results only include samples received up to the end of August, so the results could be skewed towards the South East and Group 1 and 2 varieties. Although there were some wide extremes, the average specific weight for domestic wheat in the survey came in at 77.8 kh/hl versus only 69.6 kg/hl last year and the also above the averages of 2009 and 2010 too. "The improved specific weight implies that more flour will be extracted from a given amount of wheat compared to last year. Thus potentially leading to reduced demand from millers, assuming flour demand remains static," they suggested. Average hagberg falling numbers were the best in recent years (and by some distance) at 334, and proteins are also very good at 12.4%. Average moisture readings this year were 14.8%. Late news just in is that Brussels issued 547 TMT of soft wheat export licences this past week. That's down versus 715 TMT a week ago, but still a very decent effort. 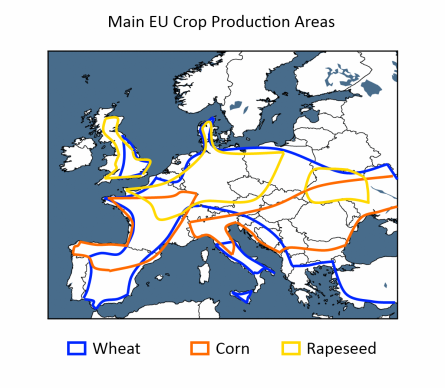 19/09/13 -- Rapemeal prices on the continent are barely changed today. Rapemeal prices are cheap relative to soymeal, but there's only so much a compounder can squeeze into the ration. Demand for rapeseed oil remains slack, so meal production is not what it might be though. 18/09/13 -- US Crop Weather: "A rainy weather pattern has developed in the Midwest. The forecast remains promising for heavy soaking rains across the several days. Waves of showers would develop in a slow-moving trough of low pressure. At least 0.50 inch of rainfall is expected in the Midwest, but 0.75 to 1.25 inch in a wide swath from eastern Kansas to Wisconsin, including most of Iowa. Rain this late in the growing season would not have much of an effect on drought-stressed crops. One inch of rain may stem the tide of deterioration, but would not significantly improve yields. Fields are dry through a very deep layer. The cooling temperatures in September and less intense sunlight would also limit the heat units required to drive crop development. Weather conditions would become more settled on Friday and Saturday when a weak high pressure system develops in the central United States. Light showers may resume Sunday-Monday in the Upper Midwest from a fast-tracking disturbance. North Dakota and northeastern South Dakota stand to get 0.10 to 0.50 inches of rainfall from this fast moving disturbance; elsewhere in the Midwest, weekend conditions would be dry," said Martell Crop Developments. Soycomplex: Beans traded both sides, but ultimately closed higher on ideas that Midwest rains this week have come too late to be of much use for yields. Informa trimmed their forecast for US soybean production this year from 3.239 billion bushels to 3.22 billion and the USDA estimate of 3.149 billion. Lanworth estimated the 2013/14 global soybean crop at 281 MMT, up 3 MMT from versus a previous estimate of 278 MMT. The USDA announced 2013/14 soybean sales to China of 1.92 MMT, along with 180 TMT to "unknown" destinations. Normally a sale of this magnitude to China would be a big event, but it seems it was simply part confirmation of a framework agreement for the Chinese to buy 4.3 MMT of US soybeans over the next 12 months that was signed by a Chinese trade delegation earlier in the week. A "shop window" trade effectively, and 4.3 MMT is after all less than a month's worth of normal Chinese imports, so this is business that the US would have probably got anyway. Attention is already starting to turn to South America, even before the US harvest gets going. Dr Michael Cordonnier said that farmers in Mato Grosso, the largest Brazilian soybean state and usually this first to plant, had forward sold around 39% of the 2013/14 crop versus 61% this time last year. Growers here are waiting for rain. Somar said Mato Grosso has had some scattered rain this week, but generally the forecast is dry for the next 10 days. Oil World suggested that dryness in Argentina might lead some intended sunflower acres to get switched to beans. Trade estimates for tomorrow's weekly soybean export sales are 450-800,000 MT (this week's Chinese business will be in next week's report). Nov 13 Soybeans closed at USD13.47 3/4, up 5 1/4 cents; Jan 14 Soybeans closed at USD13.50 1/4, up 7 1/4 cents; Oct 13 Soybean Meal closed at USD427.00, down USD1.80; Oct 13 Soybean Oil closed at 42.47, up 47 points. Corn: The corn market closed modestly higher, after also trading both sides, but within a very narrow range of only around 5 cents on the day. The weekly ethanol production data was bearish, dashing hopes that last week's rise was the start of a trend. Production fell 10,000 barrels/day to 838,000 bpd. Informa estimated the 2013 US corn crop at 13.80 billion bushels, versus a previous estimate of 14.013 billion and the USDA's estimate of 13.843 billion. Lanworth estimated the crop at 13.483 billion bushels, up from a previous estimate of 13.396 billion. They raised their 2013 US corn yield estimate to 152.9 bu/acre versus a previous estimate of 152.2 bu/acre on the back of improved yield expectations in Kansas, Nebraska, and South Dakota. They estimated the 2013 global corn crop at 942 MMT, unchanged from their previous forecast. Whichever way you look at it, the US and the world are in for a record corn crop this year. US corn will face stiff competition from the Black Sea - most notably Ukraine - and South America, despite the outlook for slightly lower production from the latter they will still have an historically large crop to market. Brazil will produce 72 MMT, against a domestic requirement of 54 MMT and Argentina will have a crop of 26 MMT against consumption of only 7.8 MMT, according to the USDA. There could still be a bit more harvest pressure to come yet for corn. Early yield reports out of the US continue to suggested better than expected results. Trade estimates for tomorrow's weekly export sales report are 350-600,000 MT. Last week's sales disappointed at 332 TMT. Dec 13 Corn closed at USD4.56 1/4, up 2 1/4 cents; Mar 14 Corn closed at USD4.68 3/4, up 2 1/4 cents. Wheat: The wheat market closed modestly higher on all three exchanges. Informa estimated the 2013/14 US all wheat crop at 2.08 billion bushels versus a USDA estimate of 2.114 billion. Lanworth estimated the 2013 global wheat crop at 704 MMT, up from a previous estimate of 702 MMT. That puts them in the same ballpark as many other leading analysts - the USDA went for 709 MMT last week - in projecting a record world wheat crop in 2013/14. The trade is wondering how much longer US wheat exports will continue to be boosted by out of the ordinary demand from Brazil and China. The latter have gone quiet of late. The former will soon be harvesting their own wheat crop and now have the option of purchasing new crop Canadian wheat. There is trade going on in the international market, but much of it is going to European or Black Sea sellers. US SRW wheat prices are around USD270/tonne FOB the US Gulf versus USD250-255/tonne FOB the Black Sea, and smaller cargoes can be bought for less. Pakistan are said to have bought 500,000 MT of Black Sea origin wheat (for the first time in three years) over the past few weeks. Bangladesh are said to have bought 200,000 MT of Ukraine wheat over the past few weeks, and are tendering for more. Egypt has only bought Russia, Ukraine or Romanian origin since it came back into the market in early July. Meanwhile European exports are more than double what they were this time a year ago. Australia will also soon begin harvesting their 2013/14 wheat crop. Trade estimates for tomorrow's weekly export sales report are 400-800,000 MT. Dec 13 CBOT Wheat closed at USD6.46 1/2, up 3 1/2 cents; Dec 13 KCBT Wheat closed at USD6.92 1/2, up 2 1/4 cents; Dec 13 MGEX Wheat closed at USD7.00 1/4, up 3/4 cent. 18/09/13 -- EU grains closed mixed in largely sideways trade. Nov 13 Paris wheat has now closed within the EUR180-190/tonne range for all but two trading sessions out of the last eight weeks. Nov 13 London wheat settled GBP0.05/tonne easier at GBP151.20/tonne whilst Jan 14 was also GBP0.05/tonne lower at GBP154.15/tonne. Nov 13 Paris milling wheat rose EUR0.25/tonne to close at EUR185.00/tonne. Nov 13 Paris rapeseed was unchanged EUR369.00/tonne. Paris wheat garners support from the frenetic early pace of EU exports. Brussels will reveal if that has continued again this past week tomorrow. Last week's exports were a marketing year high, and took the total volume of export licences granted so far to 5.2 MMT, well over double where things stood this time a year ago. Even so the USDA currently only have EU-28 exports to increase by a modest 3.6% this year. The first import/export stats of the 2013/14 season for the UK came out, revealing that we imported 328,511 MT of wheat in July, an increase of 94% versus July 2012. That's also more than 10 times the volume that was exported. The top suppliers were France and Germany, providing over 100 TMT each, but there were also some surprise names in the list of other countries exporting wheat to the UK. Other suppliers were Denmark (38 TMT), Finland (11 TMT), Eire (4 TMT), Romania (4 TMT), Poland (3.7 TMT) and Sweden (2 TMT). UK barley exports were down by more than half to 10,467 MT in July. OSR exports also slumped by more than two thirds to only 4,616 MT. On the import front, the UK shipped in over 39 TMT of rapeseed in July versus just 1,307 MT in the same month last year due to the heavily delayed start to this year's harvest. The UK also continues to import corn with gay abandon, bringing in 110,109 MT versus 77,768 MT in the same period a year ago, with France and Ukraine the top suppliers. 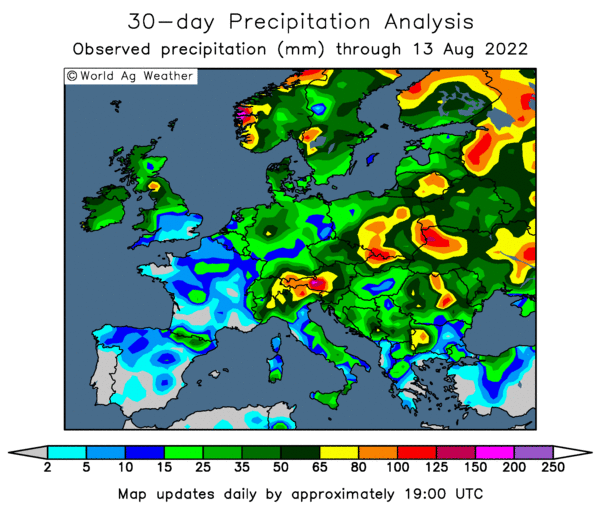 Heavy rains in Ukraine are delaying progress with winter wheat plantings and also preventing them from wrapping up the last of the winter OSR sowing. Corn harvesting will also be impeded. Russia's harvest continues to limp along, now standing at 71.5 MMT off 69.1% of the planned area. Wheat accounts for 44.9 MMT of that off just over 70% of the plan, with yields still hanging on in there at 2.55 MT/ha, up 37% on last year, and only a smidgen below those of 2011 at this time - 2.56 MT/ha. They've also now brought in 14 MMT of barley off 77.1% of the plan, along with 1.1 MMT of corn (off 9%) and 1.6 MMT of sunseed (off 9.8%). The minutes of the Bank of England's MPC meeting earlier this month were released today, showing a unanimous vote to hold interest rates and QE unchanged. The pound remains strong against the US dollar and euro, which is weighing on London wheat. Sterling may strengthen further against the dollar if Fed Chairman Ben Bernanke doesn't suggest that they will soon start "tapering" their own financial stimulus measures when he speaks later this evening. 18/09/13 -- Rapemeal prices on the continent little changed today, although rapeseed prices are weaker again on the MATIF market. 17/09/13 -- Soycomplex: It was a choppy session for beans, with front month Nov 13 trading 18 cents higher at one stage as traders grappled with the latest data from the USDA's Farm Service Administration (FSA) which reported a US soybean planted area of 74.659 million acres versus the USDA's current estimate of 77.2 million. The FSA data includes the vast majority, but not all, of US growers - only those enrolled in subsidy programs for 2013. Last September the FSA had planted acres around 2% lower than the USDA's final figure, which is about average in recent years. Add that to today's estimate and we get a possible 2013 US soybean area of around 76.15 million acres, some million or so less than the current USDA number. The FSA also said that there were 1.687 million acres of "prevent plant" soybeans, so it looks like the final harvested area this year could be significantly lower than the USDA's current estimate of 76.378 million acres if we take these figures at face value. 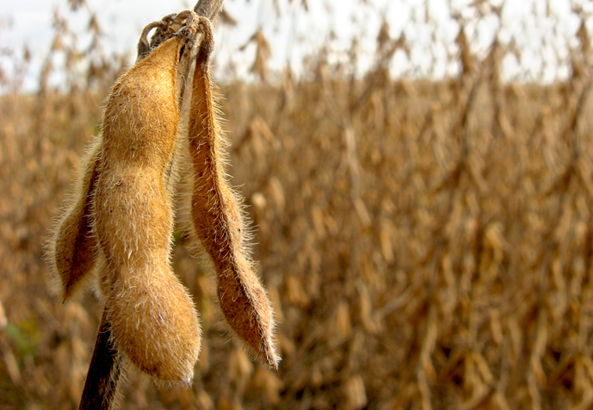 The trade didn't seem to see it that way once the dust had settled however, and the market ultimately closed on the defensive, with funds estimated as net sellers of around 4,000 soybean contracts, and 1,000 each of meal and oil on the day. Oil World estimated the total 2013/14 South American soybean production at a record high 155.91 MMT. They have Brazilian output at a record 86.5 MMT, up 6% from 2012/13. Mato Grosso farmers are waiting for rain to begin planting soybeans. Oil World pegged the 2013/14 Argentine crop at 53.0 MMT, up 9.3% from 2012/13. Dr Michael Cordonnier left his 2013 US soybean yield estimate unchanged at 40.5 bu/acre. Nov 13 Soybeans closed at USD13.42 1/2, down 5 3/4 cents; Jan 14 Soybeans closed at USD13.43, down 5 1/4 cents; Oct 13 Soybean Meal closed at USD428.80, down USD2.40; Oct 13 Soybean Oil closed at 42.00, down 13 points. Corn: The corn market also put in a two-sided day, with front month Dec 13 trading 12 cents higher at one stage. As with beans it was traders struggling to analyse the FSA data that had the market trading both sides. The FSA pegged the US corn planted and prevent plant area at 91.428 million acres. Last September the FSA had the corn area at 93.75 million, the final figure from the USDA proved to be 97.15 million, so the final area was 3.6% higher than the FSA's September 2012 area. Again this seems to be around a "normal" differential in recent years, although this is far from an exact science. That suggests a 2013 US corn area of 94.7 million acres versus the USDA's current estimate of 97.4 million. The FSA said that there were 3.573 million acres of "prevent plant" corn, suggesting that the final harvested area might come in around 91 million acres. The current USDA estimate is 89.135 million, potentially increasing US corn production this year from last week's USDA estimate of 13.843 billion bushels. Dr Michael Cordonnier left his 2013 US corn yield estimate unchanged at 152 bu/acre though, which is 3.3 bu/acre less than the USDA. Either way, the global corn supply side of the equation still looks weighty for the season ahead. Brazil has harvested a sizeable winter corn crop, and much of this will end up going to traditional overseas US customers. The Ukraine has just begun harvesting what is expected to be a record corn crop and will also be an active seller. The US market still seems to be adjusting from the tight supply/demand scenario of 2012/13 to a much more comfortable new crop balance sheet. Funds continue to appear comfortable to build on their short position in corn, ending up as net sellers of an estimated 3-5,000 contracts on the day. Tomorrow brings the weekly ethanol production data. Last week's output was up sharply to 848,000 barrels/day, presumably a result of more new crop corn coming onto the market, so that trend might continue. Dec 13 Corn closed at USD4.54, down 2 1/2 cents; Mar 14 Corn closed at USD4.66 1/2, down 2 1/2 cents. Wheat: Wheat closed mixed, also experiencing a choppy session. "The support experienced late in the overnight session stemmed from acreage data compiled by FSA that at face value appeared supportive the grain room. However, the process of extrapolating data released by FSA requires plenty of assumptions to be made," said Benson Quinn Commodities. I know what they mean. The bare bones of it are that the FSA put all wheat planted acres at 53.149 million. Using similar deviances from normal as above that suggests a total planted area of around 54.6 million acres versus the USDA's current 56.53 million. The FSA also increased their all wheat prevent plant acres to 1.977 million from an August estimate of 1.743 million. Japan are tendering for 108,901 MT of milling wheat for Oct-Dec shipment split between US, Canadian and Australian origin. Brazil has bought 2.35 MMT of US HRW wheat since February as they are forced to ramp up their purchases from outside the Mercosur trade bloc. Conab say that they've imported 4.653 MMT of wheat so far this calendar year (to the end of Aug), of which 1.463 MMT has come from the US. They've been the leading buyer of US wheat in the weekly export sales report for 4 of the last 5 weeks, which is helping to keep current US sales for 2013/14 robust versus USDA expectations for the full season. China has also been a featured buyer of US wheat, but may well switch it's attention to newly harvested Canadian wheat, and soon to be harvested Australian origin for its future requirements. Brazil will begin harvesting its own wheat crop next month, and Argentina will step up to the plate in November. That could see the pace of US foreign wheat sales tail off in the second half of the season, in the face also of strong competition from Europe. Talk of quality issues with Russian and Kazakh wheat might help a little going forward though. Feed grain supplies in 2013/14 should be abundant if an unusually high proportion of the Black Sea crop is feed grade, along with record world corn production and a large hike in global barley output. Dec 13 CBOT Wheat closed at USD6.43, up 1 3/4 cents; Dec 13 KCBT Wheat closed at USD6.90, up 1/2 cents; Dec 13 MGEX Wheat closed at USD6.99 1/2, down 2 1/4 cents. 17/09/13 -- EU grains closed mixed but mostly lower with Nov 13 London wheat settling GBP0.95/tonne lower at EUR151.25/tonne and Jan 14 also GBP0.95/tonne easier at GBP154.20/tonne. Nov 13 Paris milling wheat fell EUR0.25/tonne to EUR184.75/tonne whilst Nov 13 Paris rapeseed settled EUR4.00/tonne lower at EUR369.00/tonne. European wheat is stuck in a low range, with harvest pressure, a large barley crop and a looming sharply higher corn crop capping the upside. The very robust pace of EU exports so far this campaign is supportive though, keeping Europe on track to ship a record wheat volume in 2013/14. The Russian grain harvest is progressing slowly, held up by rain, and now stands at 71.1 MMT off 69.1% of the planned area. Out of that total they've harvested 44.4 MMT of wheat, 13.9 MMT of barley, over 1 MMT of corn and 1.5 MMT of sunseed. The latter is an interesting number as it comes off less than 10% of the planned area. A quick "back of a fag packet" calculation indicates that final sunseed production this year could be far higher than the USDA's current estimate of 8.9 MMT unless yields fall off a cliff. Russian wheat yields meanwhile are currently said to be averaging 2.52 MT/ha, up 35.5% versus 12 months ago. There's repeated trade chatter that the same wet weather that's holding up the harvest is also delaying winter plantings. That's also the case in Ukraine, where the planned winter cereal area is only 9% planted at 766k ha, although OSR plantings are now 73% complete at 673k ha. The newly begun, and expected record, 2013 Ukraine corn harvest stands at 1.17 MMT, with yields up 41.7% at 4.89 MT/ha. That brings the total grain harvest so far this year to in excess of 34 MMT versus a little more than 28 MMT a year ago. The Ukraine Ministry report August wheat exports at a record for that particular month of 1.372 MMT. Egypt was the top destination. That takes July/Aug wheat exports to 1.624 MMT, up 34% on year ago levels. Harvesting of grains in Kazakhstan is also behind schedule due to rain, having now limped just past halfway, producing 8.2 MMT to date. There's also repeated talk of quality issues for both Russian and Kazakh wheat due to late rains. 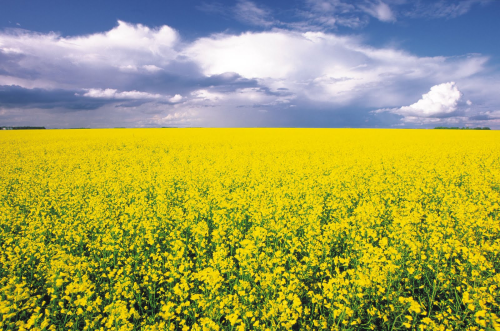 Switching Down Under, there are suggestions that the Western Australia state canola crop is being sprayed off ready to begin harvesting at the end of the month. Crop conditions are said to look very promising. Also in the Southern Hemisphere, wheat harvesting in Brazil should be underway around a month from now in the major producing state of Parana. We'll be able to get a better handle then on crop losses due to frost in the past month or two. South America's largest wheat buyer is said to have imported 4.653 MMT of wheat in the Jan/Aug period, little different to the 4.461 MMT imported in the same period in 2012. What's a big difference though is where it's come from. Last year only 36 TMT of that came from the US, this year US wheat imports have been 1.463 MMT due to lack of availability from Brazil's traditional number one supplier, Argentina. 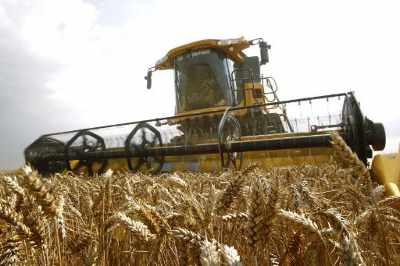 The latter will begin their 2013/14 wheat harvest mid-November and should have it mostly wrapped up by the turn of the year. 17/09/13 -- Rapemeal prices on the continent have given up yesterday's gains, and in some cases a bit more, following a sharp slide in soybean/meal values in Chicago last night, although those prices have recovered a little this morning. Could today's FSA numbers be a game changer though? They just might. 16/09/13 -- Soycomplex: Widespread showers for some of the driest parts of the Corn Belt over the weekend, and the forecast for more to come in the week ahead, got soybeans off to a negative start to the week. There may also have been some elements of profit-taking following the recent rally. Trade opinion is divided on how much good these late rains will do. There is no denying that the crop is behind schedule developmentally, so maybe mid-September rains might be more beneficial than they would normally be for soybeans? Not everyone is so sure. "It is possible rainfall will help in late developing soybeans but the heat units needed to drive development would also be reduced. Temperatures will be mostly low 70s F days for highs and mid-40s to mid-50s F at night this week. In mid-August the main pod filling period temperatures are mid-80s F days and mid-60s F at night," commented Martell Crop Projections. Weekly soybean inspections were low at 2.972 million bushels, but in line with trade expectations. There's talk of dryness in Argentina and Brazil delaying corn plantings and maybe leading to an even larger switch into soybeans than the trade is already expecting, which could be bearish in the longer term. The USDA cut good/excellent crop ratings for soybeans by 2 percentage points from last week to 50%. That's still well up on 33% this time last year. They said that 26% of the crop is dropping leaves, up from 11% a week ago but still well behind 54% a year ago and 35% normally. Now the trade is looking to see what the USDA's Farm Service Administration (FSA) have to say tomorrow in relation to 2013 US planted acres, or rather unplanted acres. They said in August that an intended 1.6 million acres of US soybeans never got planted this year. The USDA have, thus far, left their 2013 harvested area estimate unchanged. The trade is expecting the FSA to fine tune their figures tomorrow, and maybe come up with an unplanted area for soybeans of around 350-750 thousand acres. The combination of lower plantings, and therefore a reduced harvested area, along with the potential for lower US yields to come would see 2013/14 US ending stocks come in far tighter than the 150 million bushels that the USDA estimated last Thursday without alterations to exports or domestic demand. Remember though that export commitments for 2013/14 are already well advanced at 58% of the USDA forecast for the season versus a 5-year average of 43% at this time. Throw in a serious weather scare in South America and the soybean market still holds the potential to be explosive across the next 6 months. Nov 13 Soybeans closed at USD13.48 1/4, down 33 1/4 cents; Jan 14 Soybeans closed at USD13.48 1/4, down 31 1/2 cents; Oct 13 Soybean Meal closed at USD431.20, down USD13.40; Oct 13 Soybean Oil closed at 42.13, down 21 points. Corn: The corn market wasn't too excited by the weekend rains on the basis that the corn crop is already made. The USDA cut good/excellent ratings for corn by one percentage point from last week to 53%, far better than 24% this time last year. The crops in Colorado and Kansas are in the worst state at 40% and 33% poor/very poor respectively, but neither of these are major producing states. Kentucky, Pennsylvania and Tennessee have the best corn ratings, also not major producers, but Ohio (78% good/excellent), Indiana (64%), Nebraska (63%) and Illinois (56%) are big corn states with well over half the crop rated in the top two categories. The USDA said that 81% of the crop is dented versus 97% a year ago and 86% for the 5-year average. Maturity still lags at 22% versus 73% last year and 41% normally. In their first crop progress report of the season they said that 4% of the corn crop has been harvested nationally versus 24% last year and 10% on average. The FSA will also report on unplanted corn acres tomorrow. The trade is anticipating a number somewhere between 1-2 million of intended corn acres never went into the ground this spring (last month they suggested 3.4 million). Again, the USDA haven't made any allowance for this as yet. Unlike soybeans though there is a bit more flexibility for corn. Last week's projected 2013/14 US corn carryout number (1.855 billion bushels) was the highest in 12 years, and sharply up on 2012/13. Even a 3 million acre reduction with all else unchanged would imply a carryout of 1.43 billion bushels, more than double 661 million in 2012/13. A 2-3 million acre reduction in plantings would also of course likely see some downwards adjustment to US corn exports and/or domestic demand. Weekly corn export inspections came in at 20.111 million bushels, more than double the 9.986 million of the previous week and above trade expectations of around 10-15 million. Cumulative shipments for the marketing year are still only 28.277 million bushels versus 37.635 at this time last year. Argentine weather forecasters said that the local corn area is dry, delaying planting, which may ultimately push more farmers into planting beans instead of corn. Brazil's Mato Grosso is also dry, but soaking rains are in the forecast for southern states later in the week. Safras e Mercado said that Brazilian 1st corn crop is 3.9% planted versus 3.5% a year ago. Dec 13 Corn closed at USD4.56 1/2, down 2 1/2 cents; Mar 14 Corn closed at USD4.69, down 2 1/2 cents. Wheat: The wheat market closed a little lower on all three exchanges. 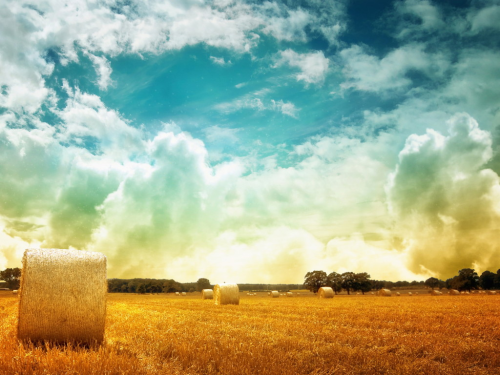 The USDA said that the US spring wheat harvest had advanced to 90% complete, up ten points from last week and slightly ahead of the 5-year average of 87%. Winter wheat planting is in line with normal at 12% done. There's talk of Brazil buying a couple of cargoes of US HRW wheat and similar of western red spring Canadian wheat last week. They may already be buying new crop Argentine wheat also. Parts of the Argentine wheat belt got welcome rain over the weekend. In Alberta the 2013 grain harvest is 19% done, a little behind 25-30% normally. "Overall, provincial average yields are estimated to be above their 10-year averages, with good quality. For the majority of crops still standing, quality will largely depend on receiving warm, dry weather, without a killing frost, over the next few weeks," said the local Ag Dept. Spring wheat harvesting is 17.4% complete and the barley harvest 19% done. In Saskatchewan the harvest is 30% done versus 28% normally with yields said to be above average. Spring wheat is 21% harvested, with 27% of the barley crop in the bin. Big crops are expected from Canada this year. Russia will also have a much larger wheat crop in 2013. Harvesting of that is just past two thirds done, producing a crop of 43.3 MMT so far. The entire 2012 wheat harvest was only 37.7 MMT. There's continued talk of quality issues with Russian wheat this year, although not that long ago they were indicating that yields would tail off once the harvest got past halfway done. Currently, on wheat, they are still up 38.5% on last year. Ukraine said that it had exported 4.6 MMT of grains so far this year, up 10.7% on a year ago. That total includes 2.6 MMT of wheat, 1.5 MMT of barley and 0.6 MMT of corn. The Ukraine's State Statistics Office said September 1st grain stocks were 20.8 MMT, up 7% from a year ago. That includes 15.1 MMT of wheat, 3.3 MMT of barley and 1.0 MMT of corn. The 2013 Ukraine corn crop, harvesting of which has only just begun, is expected to be a record 28-30 MMT. Heavy rain here is delaying the corn harvest and also hampering early sowing of winter wheat, although improving soil moisture conditions. The Ukraine Ag Ministry say that currently 691,000 hectares of winter wheat have been sown versus 1.9 million this time last year. Rain is also delaying winter grain plantings in Russia, where only 4.9 million of the intended 16.4 million hectares have been sown so far. This time last year plantings were at 6 million ha. Southern Australia’s state Ag Dept forecast their 2013/14 total grain crop at 8.7 MMT versus a previous estimate of 7.6 MMT. Wheat output is seen at 4.9 MMT versus a previous estimate of 4.3 MMT and 3.6 MMT in 2012/13. Dec 13 CBOT Wheat closed at USD6.41 1/4, down 1/4 cent; Dec 13 KCBT Wheat closed at USD6.89 3/4, down 2 1/4 cents; Dec 13 MGEX Wheat closed at USD7.01 3/4, down 4 cents. 16/09/13 -- EU grains closed mostly lower with Nov 13 London wheat settling GBP0.30/tonne easier at EUR152.20/tonne and Jan 14 also GBP0.30/tonne weaker at GBP155.15/tonne. Nov 13 Paris milling wheat fell EUR1.25/tonne to EUR185.00/tonne whilst Nov 13 Paris rapeseed settled EUR3.00/tonne lower at EUR373.0/tonne. The European market continues to grind lower on prospects for a record world wheat and corn crop in 2013/14, although the strong pace of EU wheat exports this far this season appears to indicate that the market doesn't really need to go down from the point of view of attracting any more buying interest. This strong demand is for European milling wheat though, not feed wheat, and there will be even less interest in the latter once the global corn harvest gets going in earnest. New crop corn on the Black Sea is currently priced around USD40/tonne cheaper than feed wheat on an FOB basis (at less than GBP120/tonne). Note too that competition for wheat is also coming from a world barley crop that was forecast almost 10% higher than last year in Friday's USDA report, including a 6.5% rise here in Europe. The pound rose to a new 8-month high against the dollar today, and sat just below a similar high versus the euro set on Friday, which will aid imports but do little to help UK exports. London feed wheat for Jan 14 is less than one euro/tonne cheaper than the equivalent Paris milling wheat contract based on tonight's closing levels. Both the Ukraine and Russian corn harvests have only just begun, but early yields are said to be significantly better than a year ago. Both are expecting record production, with corn exports also likely to be at all-time high levels. The EU Commission's MARS unit said today that "the EU-28 outlook for cereals remains favourable and well above both last year’s levels and the 5-year average, even though the grain-maize yield has been lowered compared to our last Bulletin." They estimated EU-28 soft wheat yields at 5.76 MT/ha versus the 5.71 MT/ha that they forecast in August, that's up 2.3% on the 5-year average and 6.3% higher than last year. They also increased spring barley yields from last month's 4.34 MT/ha to 4.41 MT/ha, a 15.1% hike on the 5-year average and 12.2% up on a year ago. Winter barley yields were left unchanged from last month at 5.51 MT/ha, up 4.8% on average and 5.8% more than in 2012. EU-28 OSR yields were marginally trimmed to 3.09 MT/ha, that's down slightly on last year's 3.11 MT/ha but a little above the 5-year average of 3.04 MT/ha. Corn yields were cut from the 6.97 MT/ha forecast in August to 6.88 MT/ha, although down slightly versus the 5-year average of 6.98 MT/ha, that's still nearly 14% up on a year ago. For the UK specifically there were no alterations to last month's yield forecasts. 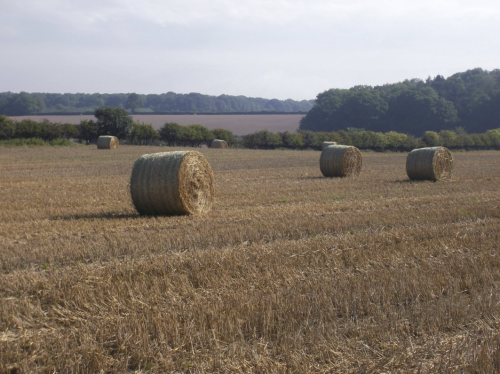 "The summer period was relatively dry and warm in England, providing good conditions for cereals to reach maturity and allowing farmers to harvest them appropriately," they said. Wheat yields here are seen averaging 7.33 MT/ha this year, lower than the HGCA's 7.6-7.7 MT/ha estimate, but still up 16% on last year and amazingly a little above the 5-year average. UK spring barley yields were estimated at 5.44 MT/ha, up 9.5% on last year and 2.5% above the norm. Winter barley yields were forecast at 6.62 MT/ha, up 4% on last year but essentially "average" compared with the last 5 years. UK OSR yields are unsurprisingly down compared with last year and the 5-year average, although not by anything like as much as might have been expected in the spring/early summer. They placed these at 3.32 MT/ha versus 3.40 MT/ha in 2012 and 3.47 MT/ha on average. In other news, the Russian grain harvest has now reached 69.2 MMT off two thirds of the planned area. Wheat accounts for 43.3 MMT of that off 66.7% of the anticipated combinable area. Wheat yields are averaging 2.59 MT/ha, up 38.5% versus last year. The Russian Deputy Agriculture Minister indicated that the government may only buy 2-3 MMT of domestic grains, beginning at the end of this month or early October, to replenish their depleted intervention stocks. That's substantially less than the 7 MMT that the trade were expecting. As well as wheat they may also buy corn and barley, he suggested. 16/09/13 -- Rapemeal prices on the continent firmer across the board, despite a weaker tone to soymeal values, on ideas that prices are simply cheap in relation to soya. 16/09/13 -- The overnight Globex grains are mostly red, with the soy complex leading the way. New front month Nov 13 beans are currently 16 1/2 cents lower, with meal down USD4-6 and corn shedding a cent or two. Wheat is narrowly mixed. The pound has been up to 1.5950 against the US dollar this morning - a new 8 month high. It's also very close to setting an 8 month high versus the euro too at 1.1930 - it reached 1.1963 on Friday. That won't help London wheat's cause too much today. Soybeans are down this morning on forecasts for light to moderate Midwest rains later in the week and into the weekend. Whilst the crop might normally be considered "made" by now, some think that there might just still be time for rain to add a bit of yield. We'll get a clue to just how immature the crop is after the close tonight when the USDA release their latest crop progress report. Last week they said that 11% of the crop was dropping leaves versus 34% in 2012. They are expected to drop good/excellent ratings for beans from the 52% they gave us last week to maybe only 49% this time round - although that would still be well ahead of year ago levels. They are also expected to give us the first harvest progress report of the season for corn. We'll also get the NOPA August crush report this afternoon. That is seen coming in at around 110.7 million bushels, the smallest since September 2011, from within a range of estimates of 105.5-114.0 million. The July crush was 116.338 million and the August 2012 crush was 124.773 million. The trade is stuck on the idea that the corn crop is made in July and that the soybean crop is made in August. The average Midwest rainfall was 2.3 inches this August. The normal average August rainfall is 3.6 inches, according to Martell Crop Projections. Record-low rainfall occurred this August in eastern Iowa and western Illinois, the leading 2 soybean states. Besides those two, Minnesota and Indiana were also "exceptionally dry" this August, they say. "Illinois August rainfall was 3rd lowest, 4th lowest in Indiana and 7th lowest in Iowa and Minnesota out of 118 years. This distinguishes the 2013 August Midwest drought as severe, among the driest 6% on record," they add. And it did of course also follow another drought year. Elsewhere, heavy rain in forecast for Southern Brazil this coming weekend, but there's only light showers on the radar for Mato Grosso and central areas of the country. A story on Reuters says that Cargill have temporarily closed a key crushing plant near Rosario in Argentina due to a lack of soybeans. The plant is said likely to remain shut until March 2014. Russia's grain harvest now stands at 69.2 MMT off two thirds of the combinable crop area. Wheat accounts for 43.3 MMT of that, off 66.7% of the plan, with yields averaging 2.95 MT/ha, an increase of 38.5% on last year. If they were to average 2 MT/ha off the remaining area left to be harvested then they'd end up with a crop of almost 60 MMT versus 37.7 MMT last year and current market estimates of around 52-54 MMT. They've also harvested 13.5 MMT of barley, off almost 75% of the planned area, along with 837 TMT of corn (off 7.1%) and 1.3 MMT of sunseed (8.2%). The Russian Deputy Agriculture Minister said that the government plans to buy 2-3 MMT of grains to help replenish the state intervention fund by the end of the calendar year. That's far less than the market was expecting, but these guys are Russians and politicians at the end of the day. 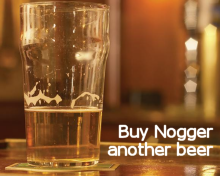 Maybe he means that they will buy more in the new year? Maybe he means that's it. Who knows? Nov 13 London wheat opened GBP0.50/tonne easier at GBP152/tonne and now trades at GBP151.75/tonne, within a pound of the contract's lowest since June 2012 and also a pound off the lowest for a front month since January 2012. Whilst it's certainly possible to make out a near/medium term bullish case for soybeans, it's currently pretty difficult to do the same for wheat and corn. Can those markets go in opposite directions? Well, they have done so before. Between the infamous "early October low" in 2011 and the first day of June 2012 front month soybean prices rose more than 16% (they were in fact almost 30% up by late April). The price of corn fell 6% during that period, whilst wheat was virtually unchanged.